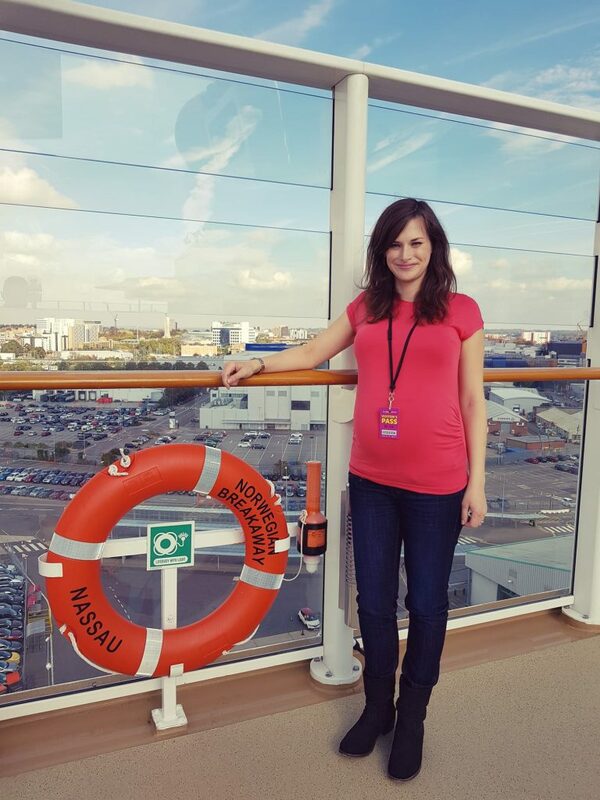 My one and only experience of cruising with Norwegian Cruise Line (NCL) came when I was a child and my parents took me on a holiday on the then NCL ship the SS Norway. Formerly the SS France, this luxury liner came into service in the early 60s and, at our time of sailing, was the longest passenger ship in the world. It wasn’t your conventional cruise ship, as I am sure you can imagine. The children’s club had a hand-painted mural on the wall, the cabins were dated but comfortable and the main restaurant had a 60s feel but with plenty of glitz. She was very much an ocean liner, not a cruise ship. I’m sure my recollection is slightly skewed as I was a child, but I do remember being very fond of that ship and I had a fantastic holiday on board. 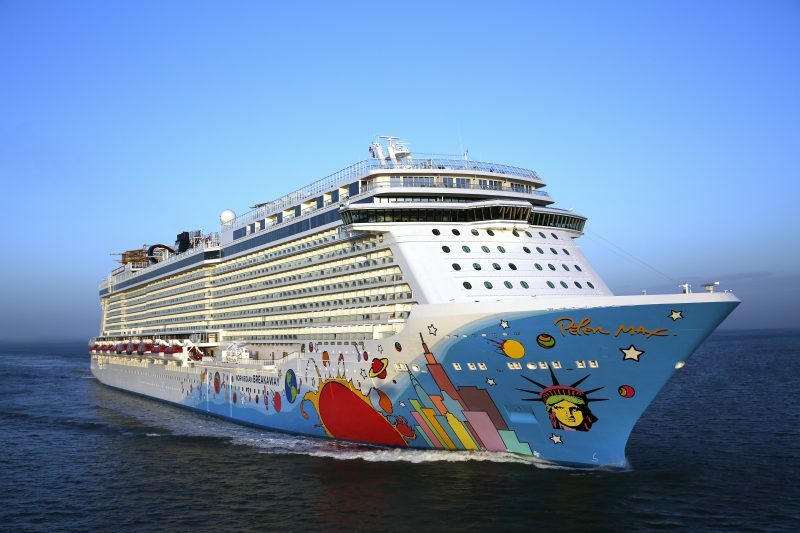 Based in the USA, Norwegian Cruise Line has been in operation for over 50 years. It is one of the largest cruise lines in the world, with a fleet of 16 ships. NCL pride themselves on having revolutionised the cruise industry by offering guests freedom and flexibility on board their ships. 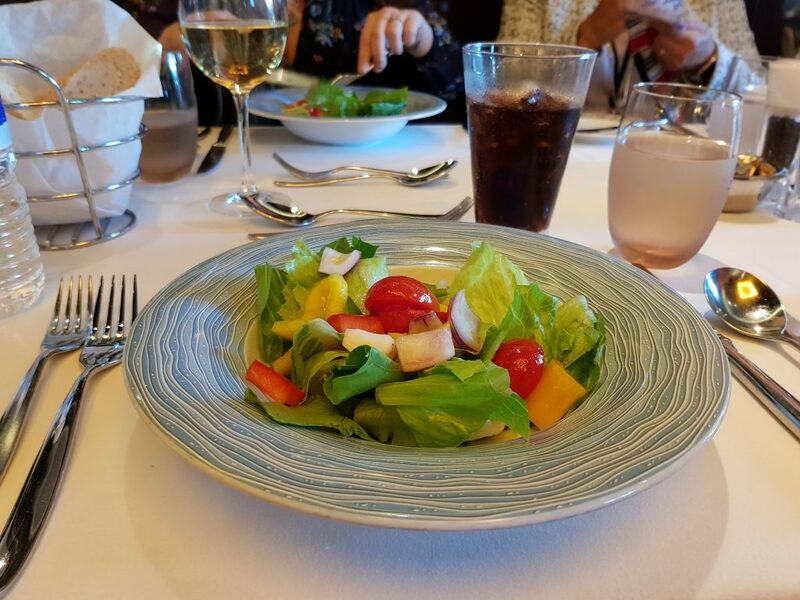 With no set dining times and no formal dress codes, they have proved very popular with guests wanting a more relaxed style of holiday. 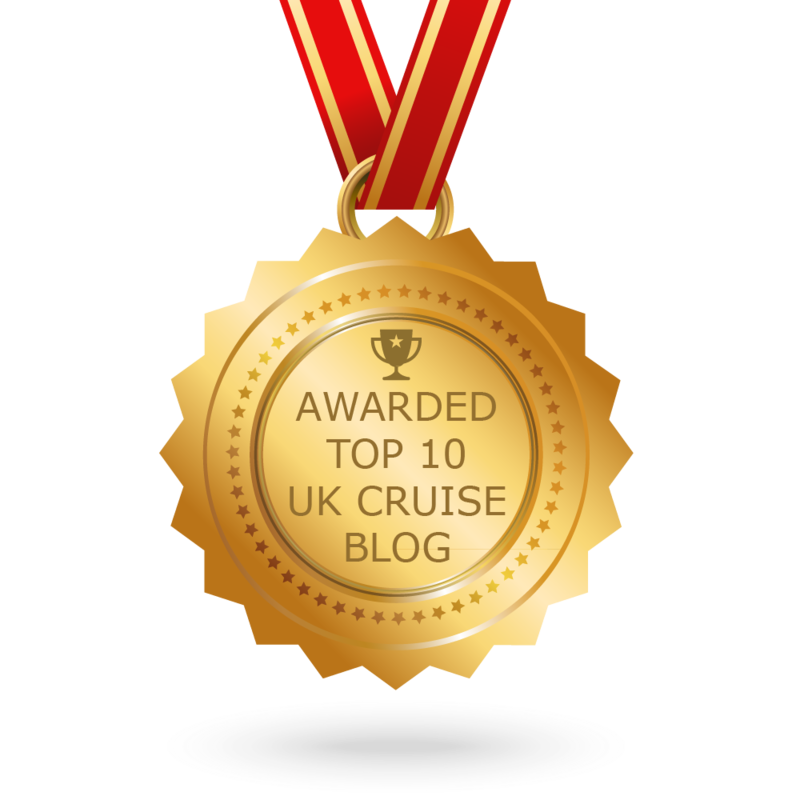 They only offer all-inclusive cruising, referred to in the UK as Premium All-Inclusive. As well as your room rate and standard dining, gratuities and unlimited select beverages are included in your fare. 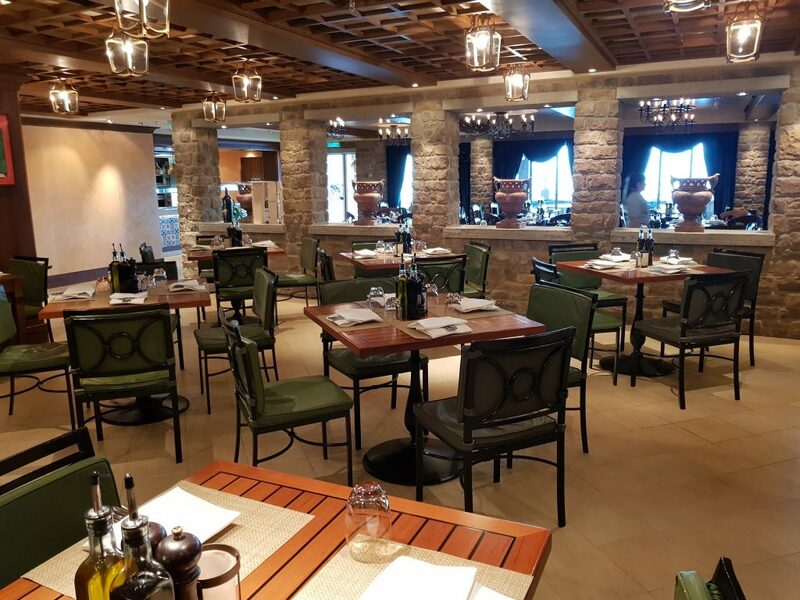 An additional 18% gratuity is added on to select dining options and spa treatments and this is not included in the fare. 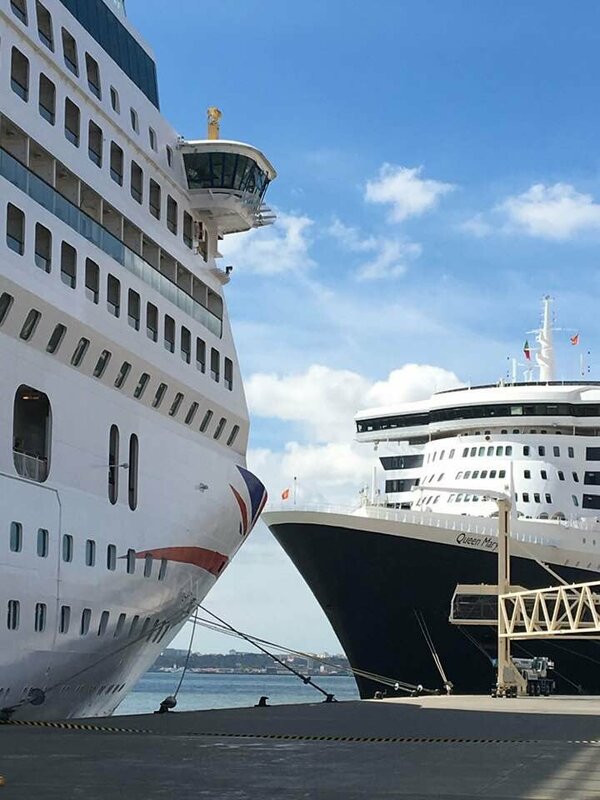 The cruise line has ships situated across the world, transporting guests to far-flung destinations such as Alaska, Hawaii, Asia, Mexico and South America. Norwegian Cruise Line’s newest ship, Norwegian Bliss, entered service in April 2018. In 2019 this Breakaway Plus Class vessel will be joined by Norwegian Encore, which will carry over 4000 guests. 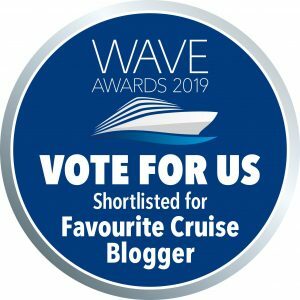 If you aren’t a fan of fly-cruising, Norwegian Cruise Line do operate ships out of Southampton during the summer months. NCL’s parent company owns sister lines Oceania Cruises and Regent Seven Seas Cruises. I’ve been eager to see what newer Norwegian Cruise Line ships are like for a while now, as the SS Norway was a truly unique, one of a kind vessel (she was scrapped in 2008). The opportunity to have a look around another NCL ship came in early October, when I went on board Norwegian Breakaway for the day in Southampton. Launched in 2013, the 18 deck, 145,655 GRT ship has a guest capacity of 3,963 and a crew capacity of 1,657. 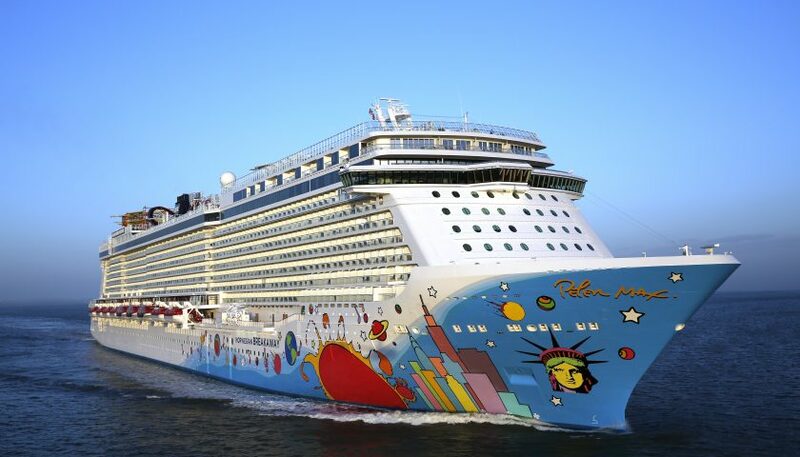 Her colourful hull art was designed by pop artist Peter Max. She was refurbished in 2018 as part of the fleetwide Norwegian Edge refit project. 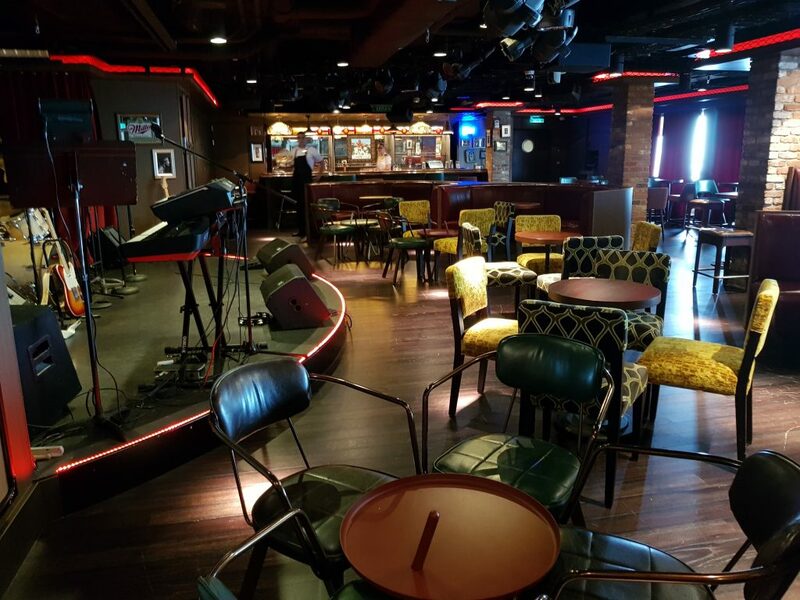 Changes to the ship include a new American rock ‘n’ roll bar called Syd Norman’s Pour House, enhancements to the Bliss Ultra Lounge and new carpets in staterooms, suites and public areas. The ship was about to embark on a Transatlantic voyage at the time of our visit. The ship’s atrium is smaller than I would have imagined for a ship of Breakaway’s size. 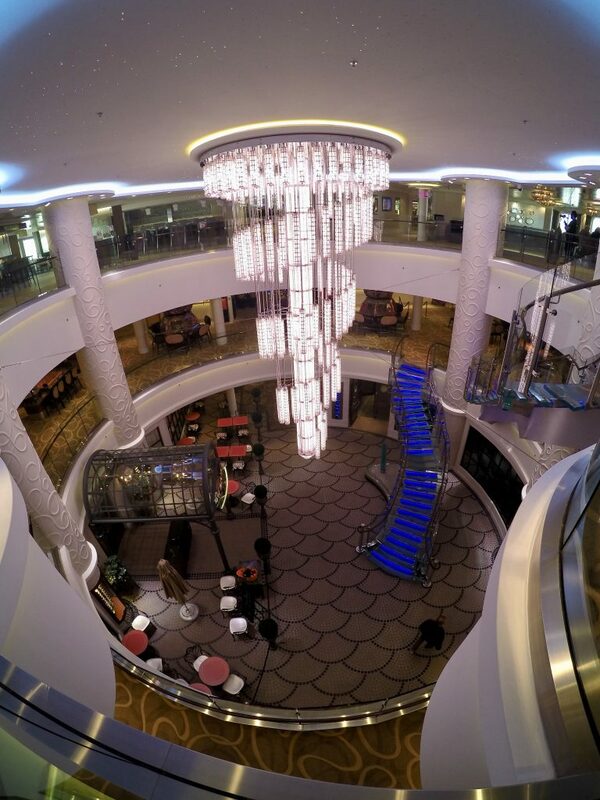 A wonderful contemporary chandelier hangs in the centre, but the space lacks the grandeur of a Princess Cruises or MSC Cruises ship. 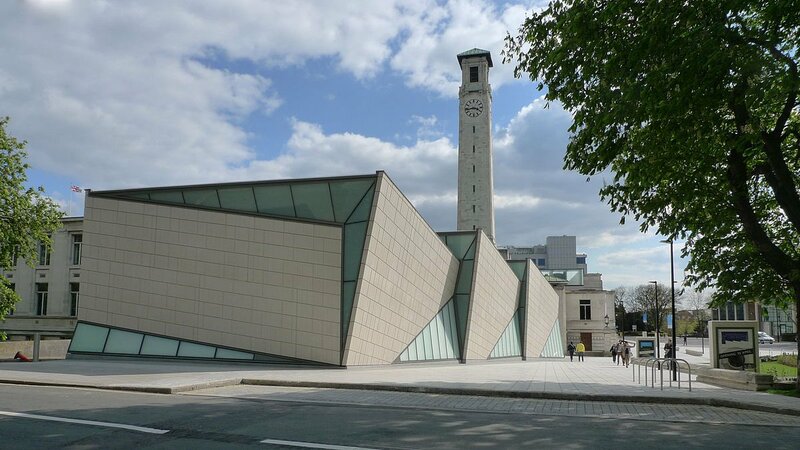 There are a number of venues situated off of the atrium, but it doesn’t feel as open or as well-used as others I have seen. That said, it is still very lovely and I am sure it is lively in the evening. 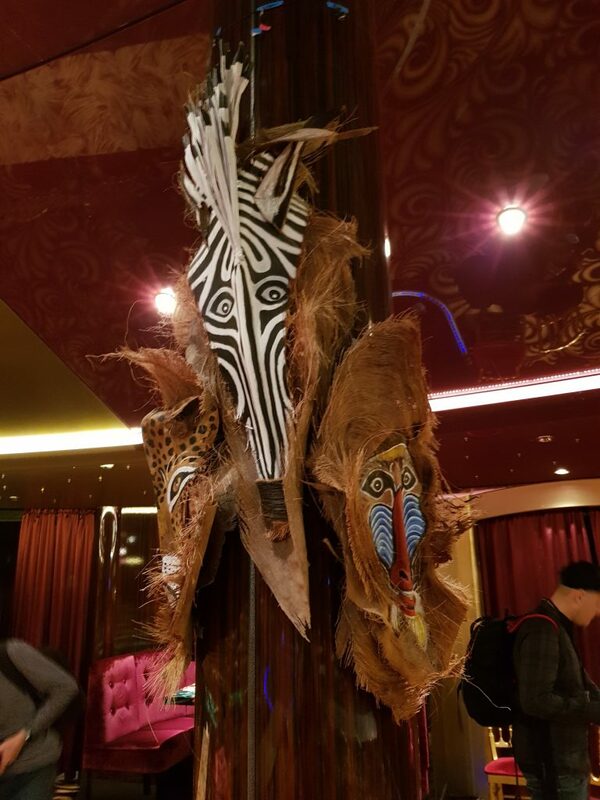 Unfortunately we didn’t get to see any staterooms during our visit as the ship was partway through a cruise, but there are seven categories and a number of sub-categories to choose from. 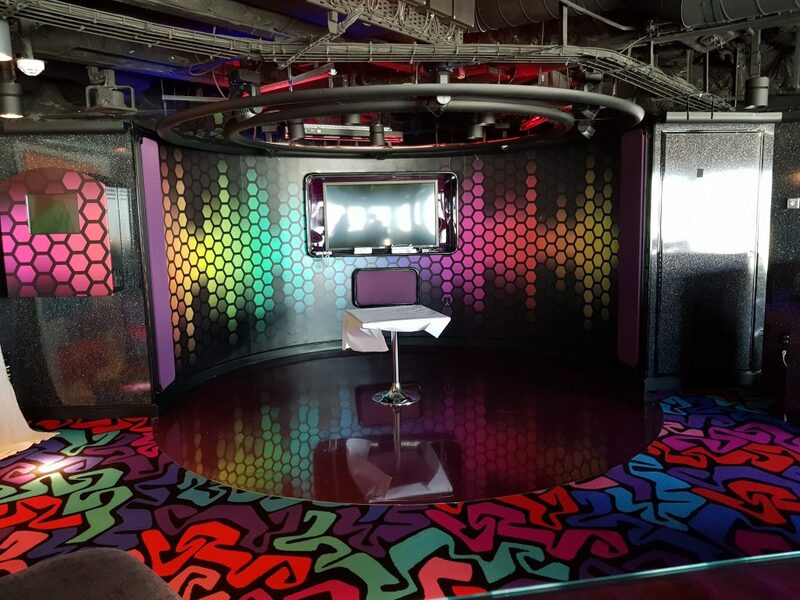 Norwegian Breakaway has a number of studio rooms available for solo travellers, which include a full size bed and access to a special Studio Lounge. 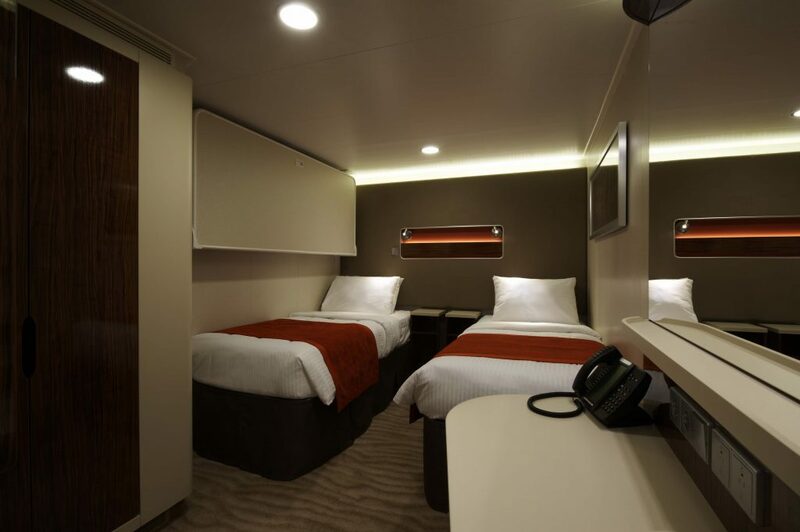 Inside staterooms can accommodate up to 4 people and all cover a floor space of 135 square feet. There are several ocean view options which all feature a picture window. 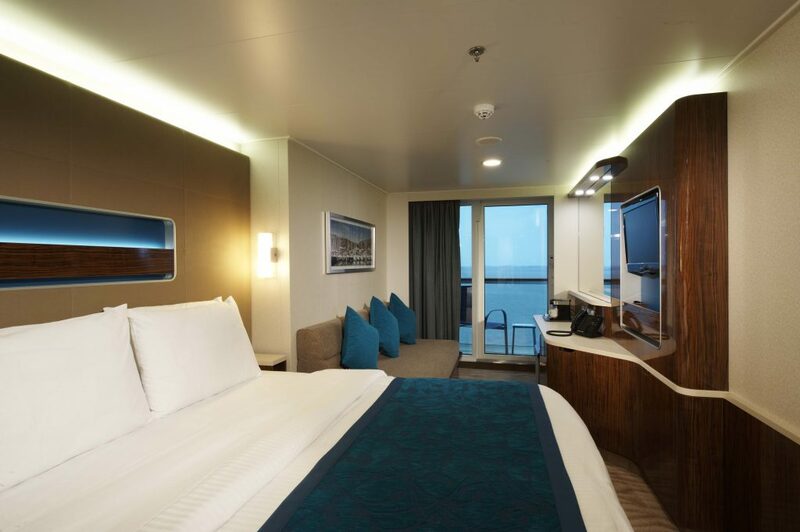 The family ocean view room can sleep up to five and includes a sofa bed and bath (only 4 staterooms don’t have a bath) and there are interconnecting room options available. 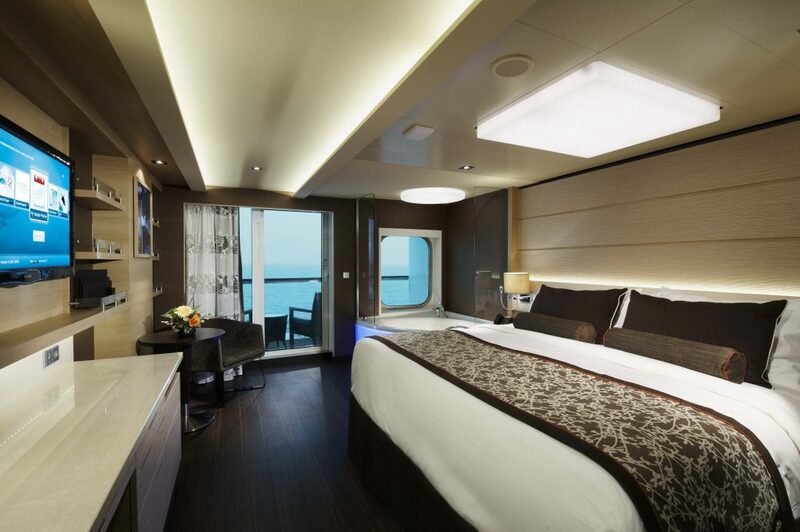 Balcony staterooms range in size from 207 square feet to 245 square feet. 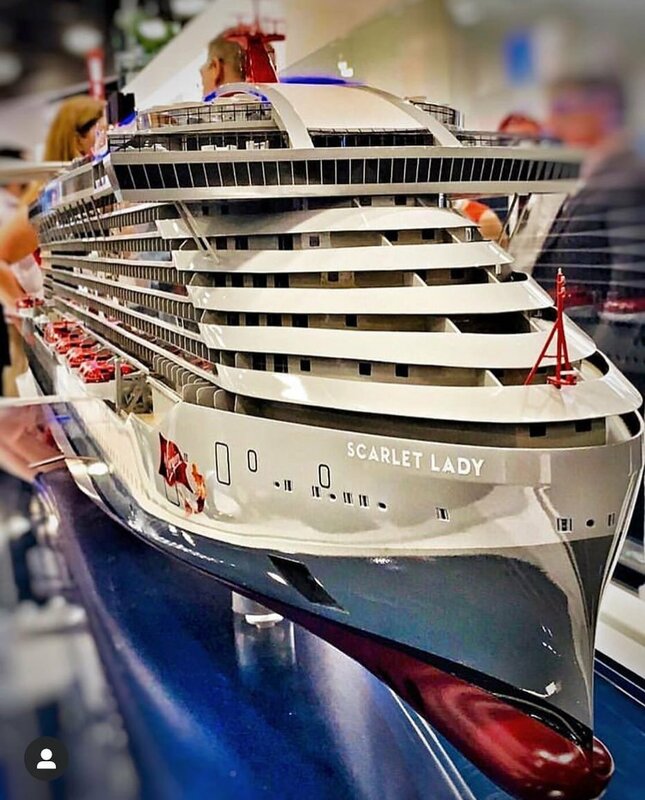 You can choose from aft-facing, family, large, mid-ship, balcony, Just Cruise and spa balcony options. There are plenty of suite options too. The spa suite and mini-suite give you complimentary access to the spa and thermal suites during regular hours. They are located on deck 14 and can accommodate between 2-4 people, depending on which room you book. Mini-suites are slightly bigger than large balcony staterooms, and they range in size from 239 square feet to 513 square feet. 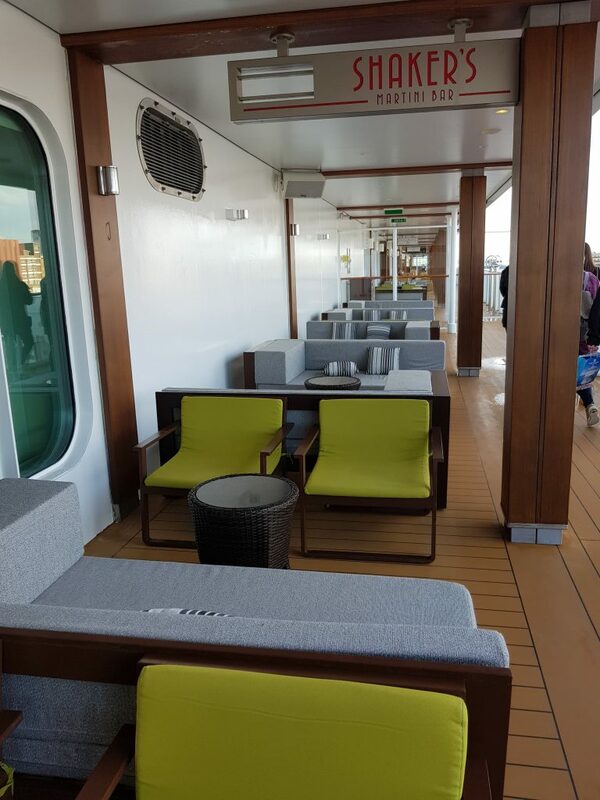 They are similar to the balcony staterooms in terms of design, but are larger overall. The ship also has 42 wheelchair accessible staterooms. Tucked away at the top of the ship you’ll find The Haven, 42 of the most luxurious suites on board. As well as superb views, these rooms benefit from private access to The Haven – an area boasting a private pool, restaurant, courtyard and cocktail bar. The rooms vary in size, but they all feature a king-size bed, bath and lush furnishings. Certain grades also have 24-hour butler and concierge service. 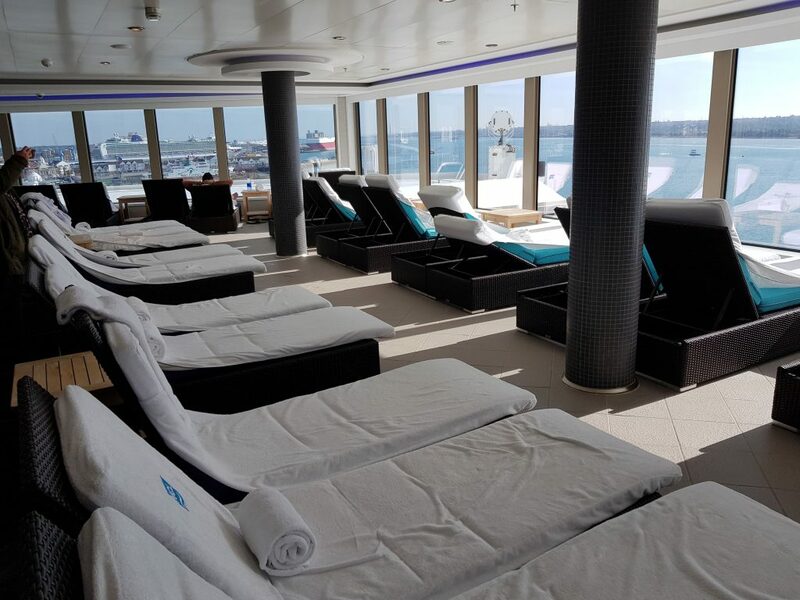 The Haven’s exclusive benefits include priority embarkation and disembarkation, a platinum keycard, priority boarding of tenders, in-suite coffee machines, gourmet treats in the evening, a duvet and pillow menu, bathrobe and slippers. We had a look around The Haven, which was decorated in soft, muted tones. The lounge was very comfortable and it was nice to see guests using the facilities. The restaurant was compact but very stylish and its location meant that it was very quiet and private. I really like the idea of suite guests having their own separate area, and this space reminded me of MSC’s suite Yacht Club area on the MSC Meraviglia. You can find a full list of all accommodation options here. This late night bar has been designed in the style of a New York City hotspot. Guests walk through an LED tunnel to reach the illuminated bar and pulsating dance floor. This room really did feel like a nightclub and I can imagine it proves very popular with younger guests. Sample a good variety of beers and spirits imported from around the world in an indoor/outdoor setting. The outdoor bar is the perfect spot to watch the sun go down. Syd Norman’s Pour House is an authentic and immersive experience inspired by the greatest clubs in American rock ‘n’ roll history. Replacing Fat Cats Jazz & Blues Club, Syd Norman’s is a tribute to the grandfather of Rock of Ages playwright Chris D’Arenso and modelled after influential rock houses such as CBGB’s, The Rainbow and the Fillmore. Vintage décor, diner-style seating and an unforgettable playlist of classic rock from the late 1960s to 1980s come together to bring this high-calibre entertainment offering to life. 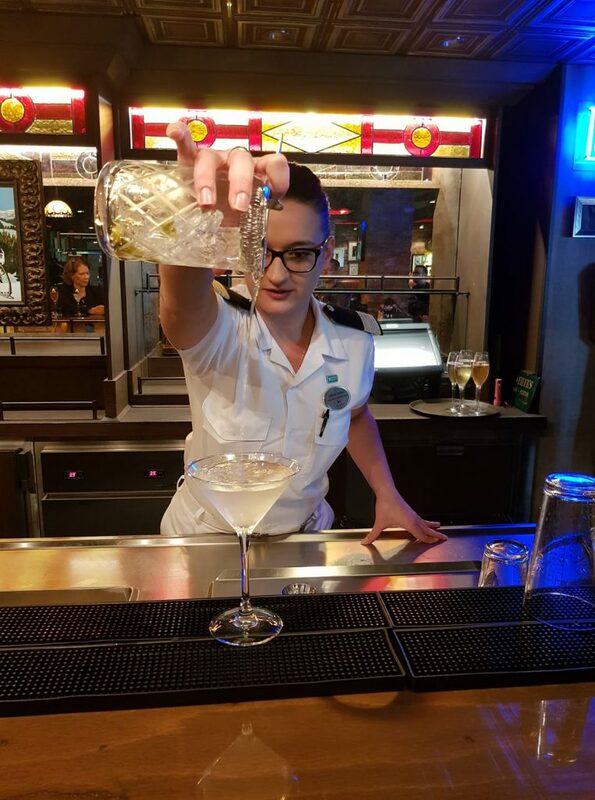 Three times a week, cast members from Rock of Ages treat guests to speciality cocktails named after rock ‘n’ roll classics. 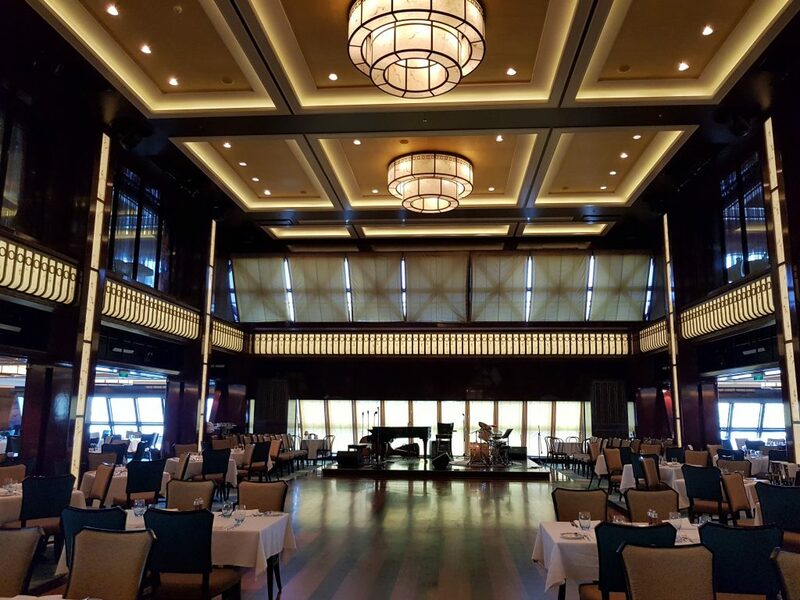 Guests can also rock-out to a five-person band playing classics six nights a week. We watched a very good cocktail demonstration in this bar and I thought there was an excellent choice of drinks on offer in this venue. 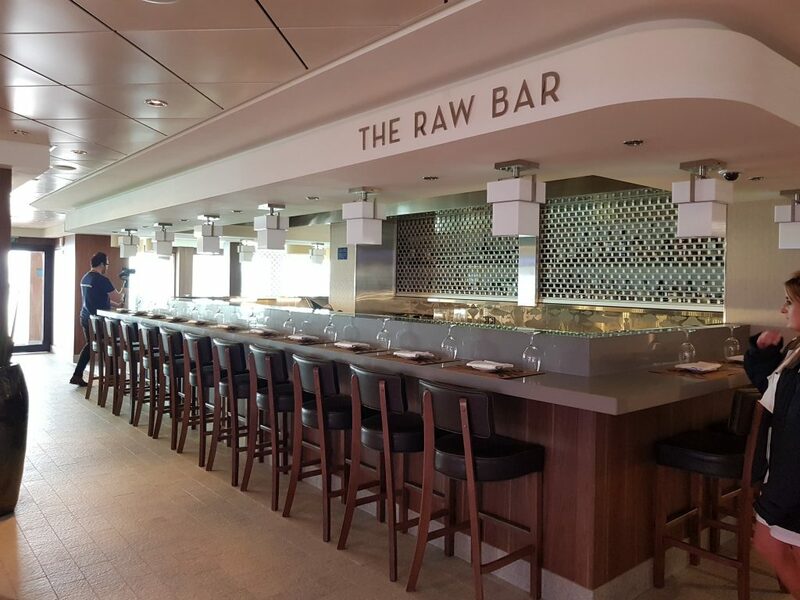 One of Norwegian Breakaway’s unique indoor/outdoor venues, this bar is a great place to enjoy a pre or post show cocktail. This over 18s venue can only be accessed by a special guest pass. Large comfy sofas adorn this outdoor space, where guests can indulge in a full-service bar, hot tub access and relaxation area. Another adult-only space, this outdoor area is a lounge by day and a dance floor by night. As well as hot tubs and a plunge pool, a large cinema screen stands at one end, whilst a bar stands in one corner. 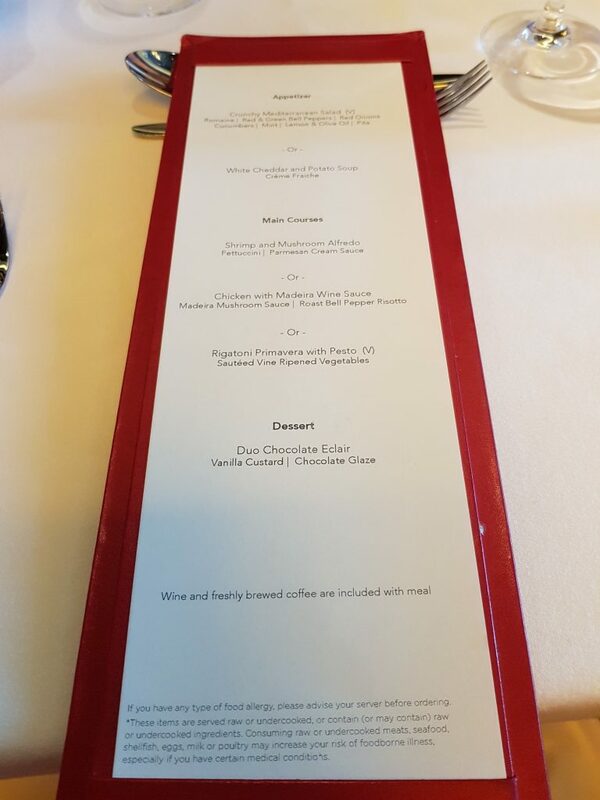 Appetisers and snacks are served at selected times. 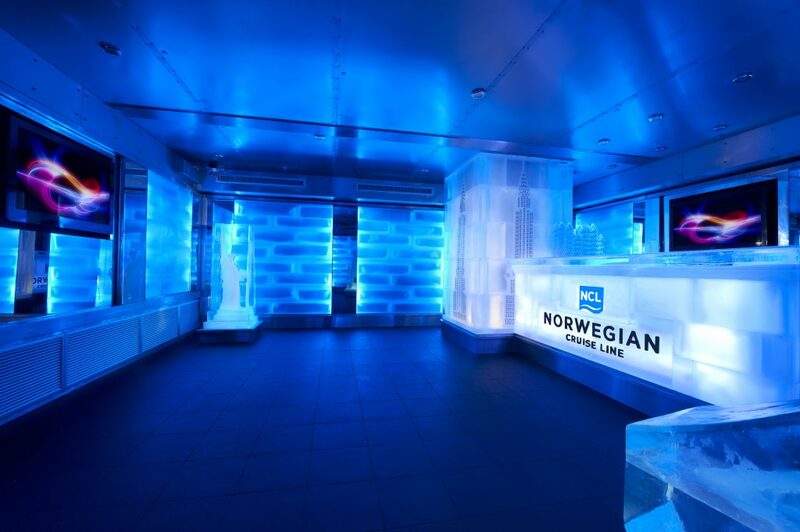 For something different head to the Skyy Vodka Ice Bar which is kept at a cool 17 degree Fahrenheit at all times. Inside, the walls, tables and seating are all made of ice. It’s inspired by the Scandinavian Ice Bars, such as the one I went to in Oslo several years ago. Looking for somewhere quiet for a pre-dinner drink? 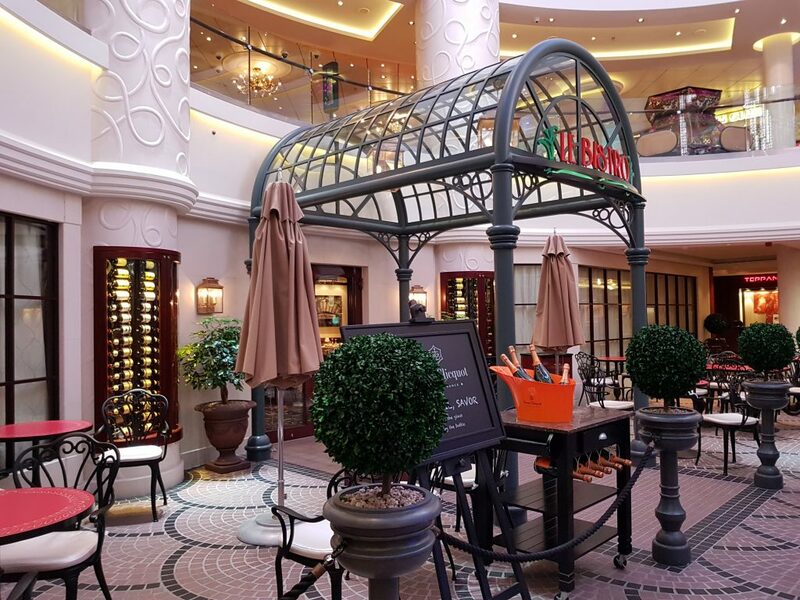 Then the Atrium Café and Bar, Mixx Bar or Prime Meridian Bar are good options as they are all situated close to several restaurants. 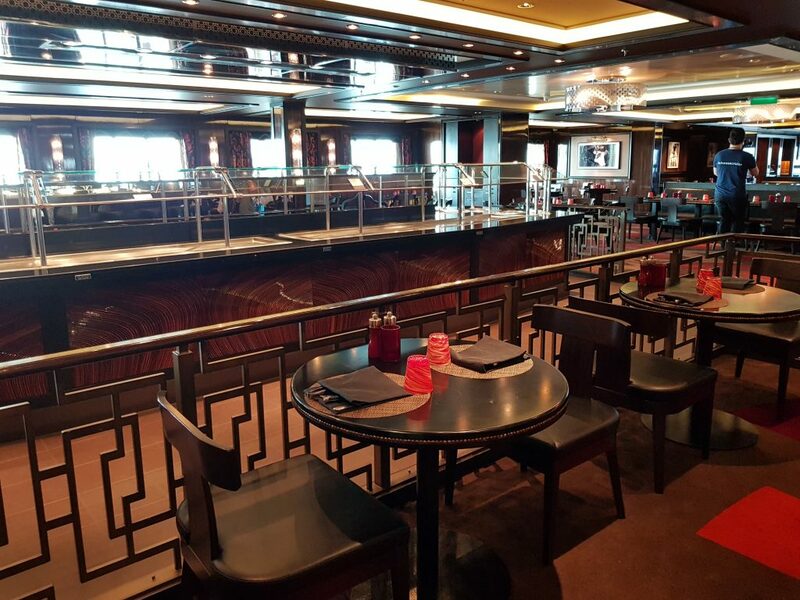 This is the ship’s main buffet which is open for breakfast, lunch and dinner. 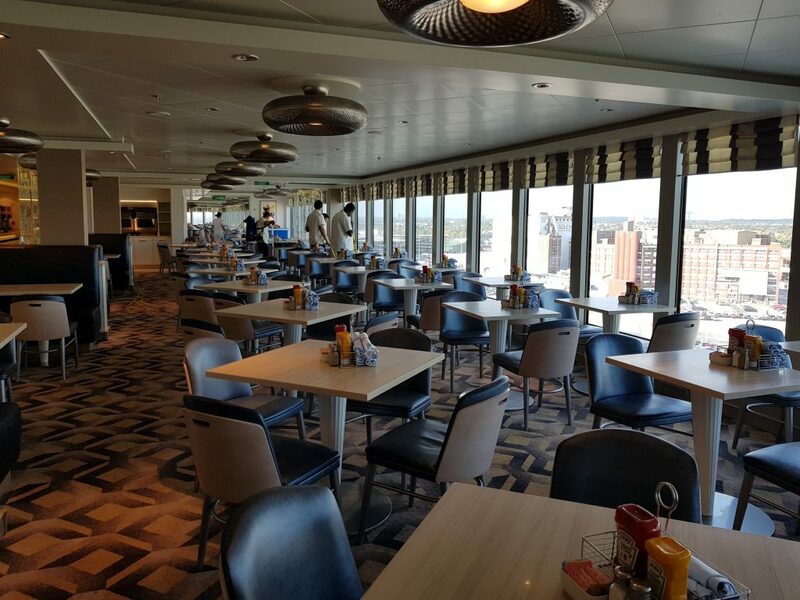 As well as standard international fare, guests can enjoy freshly made waffles, fresh pasta, a carvery and soft-serve ice cream. 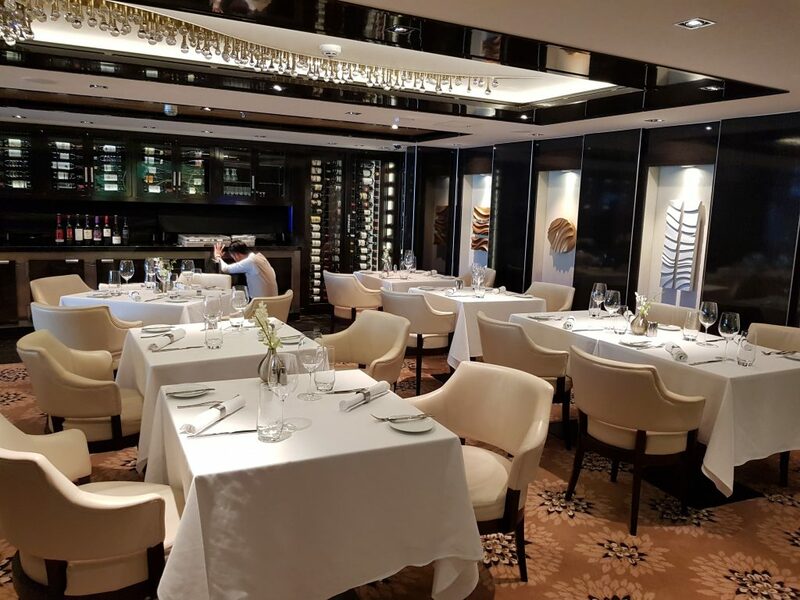 All three restaurants are decorated in dark, muted tones but it is The Manhattan Room – with its large dance floor – which is the most impressive in terms of design. It is meant to be reminiscent of a New York City supper club, and it benefits from floor to ceiling windows, a wooden floor and soft lighting. We ate in Taste, which was more intimate than The Manhattan Room. My lunch consisted of salad, chicken with risotto, some cheese and a sugar-free cheesecake dessert. 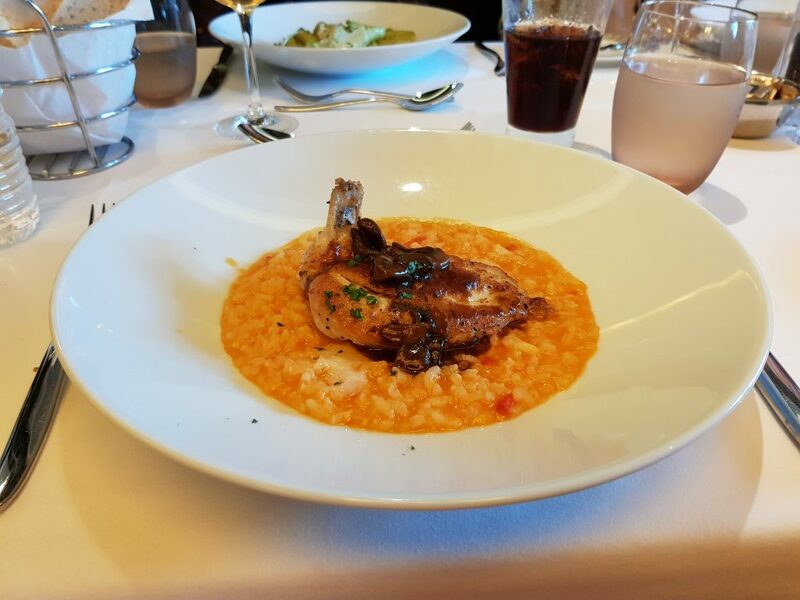 The food was nice, with generous portion sizes and there was a good selection on the menu. The fresh bread rolls were delicious and service was swift and efficient. I did like the décor of the restaurant, but it did feel quite dark considering it was lunchtime. 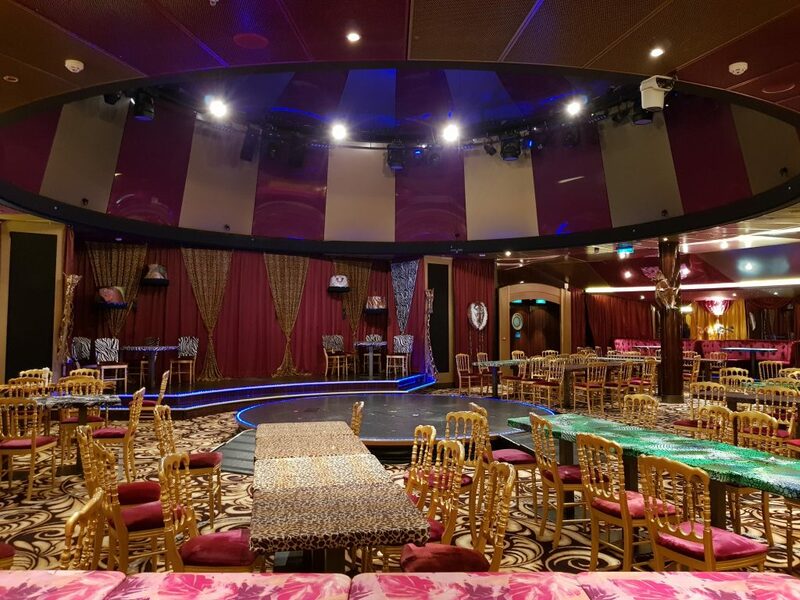 There are a number of entertainment venues on Norwegian Breakaway, so there is plenty to keep guests busy at night. 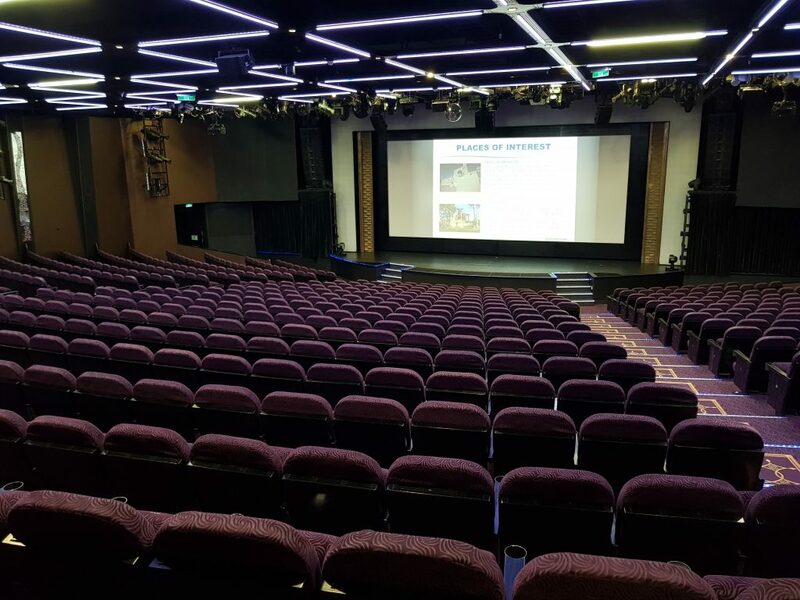 If you’re a fan of musicals then don’t miss Norwegian Breakaway’s flagship Broadway show Rock of Ages, which is performed in the Broadway Theatre. 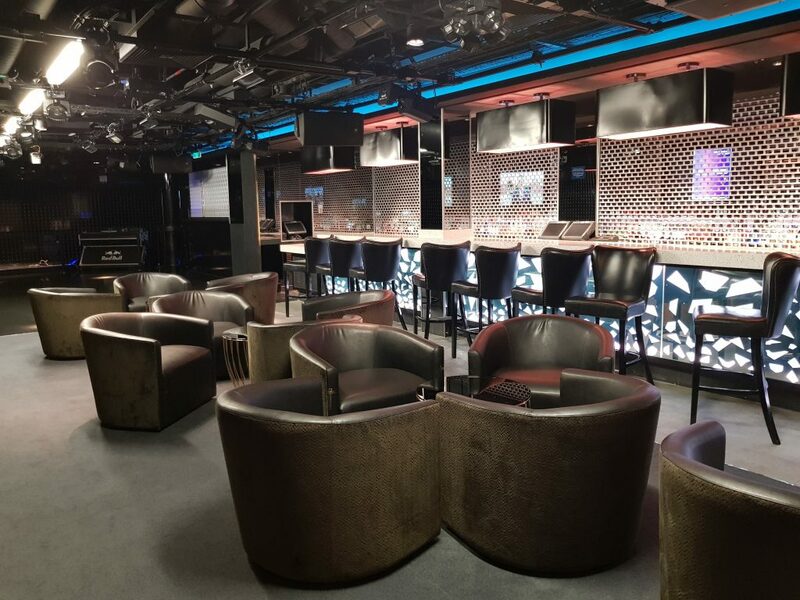 Alternatively check out their very popular show Burn the Floor in The Manhattan Room, which showcases a range of popular dance styles, such as the Rhumba and the Salsa. I was really impressed with the Spiegel Tent, the colourful venue for the Cirque Dreams and Dinner Jungle Fantasy show. Its bright furnishings, animal themed interior and quirky touches (such as a Hall of Mirrors) reminded me of both the circus and the Moulin Rouge (in Paris). Guests pay $47.99 for dinner and the Cirque Dreams Jungle Fantasy show, which was the first show of its kind to hit Broadway. If you want to be entertained in a less formal setting, then head along to Headliners Comedy Club. Here you’ll find improvisational group The Second City and the Howl and the Moon Duelling Pianos Show. 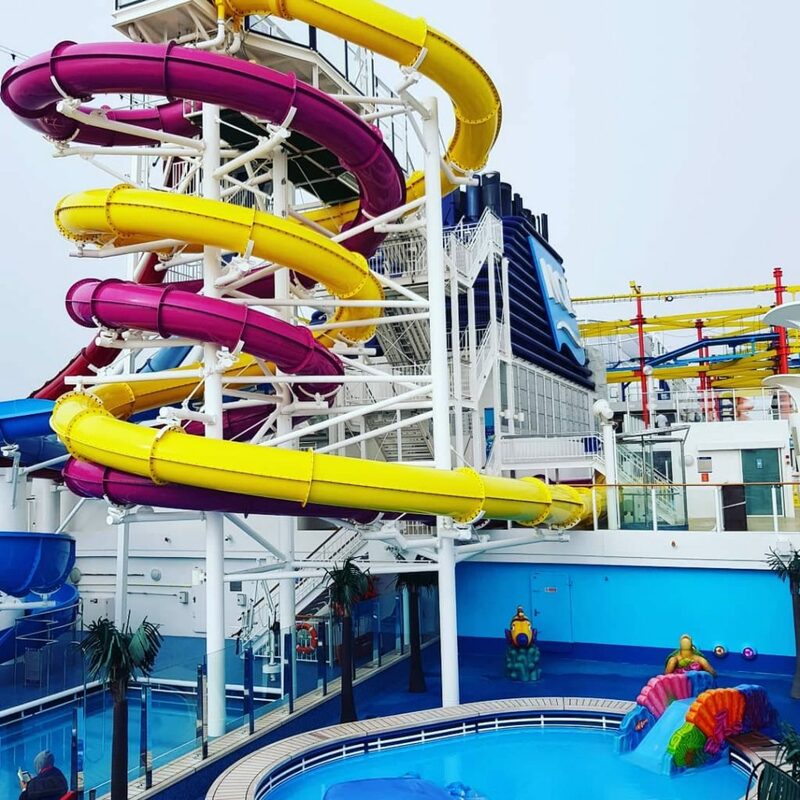 Children and adults will love the multiple waterslides situated on deck 16 and 17. Choose from the winding Whip racing slides or the Free Fall drop slides. Or simply relax in one of the two swimming pools or a hot tub. Kids will also love the Kid’s Aqua Park nearby. 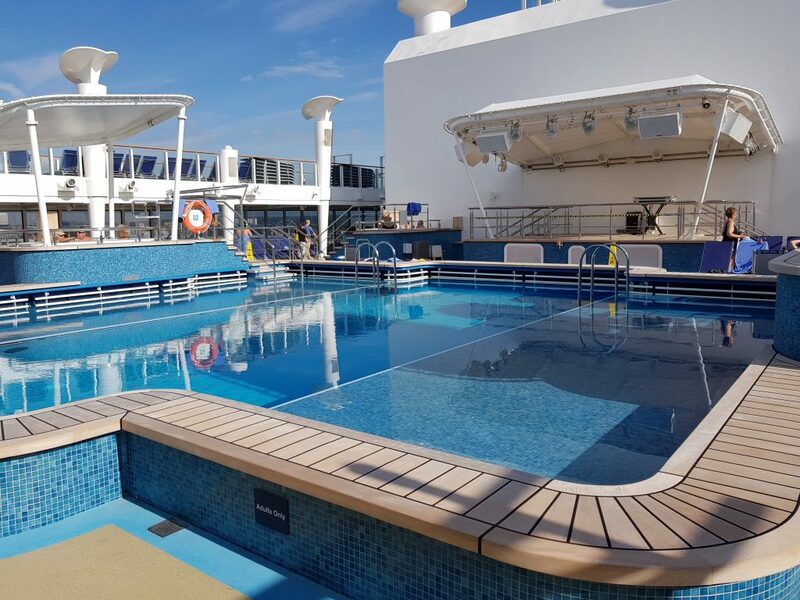 A quieter outdoor pool can be found on deck 15, close to the spa and gym. There is also a plunge pool located in the Spice H2O adult-only section of the ship. Although there are three main swimming pools, be mindful of the fact that two of them are located in the Aqua Park, which can get busy. Therefore Waves Pool is really your only other alternative if you want somewhere to swim that is quiet. 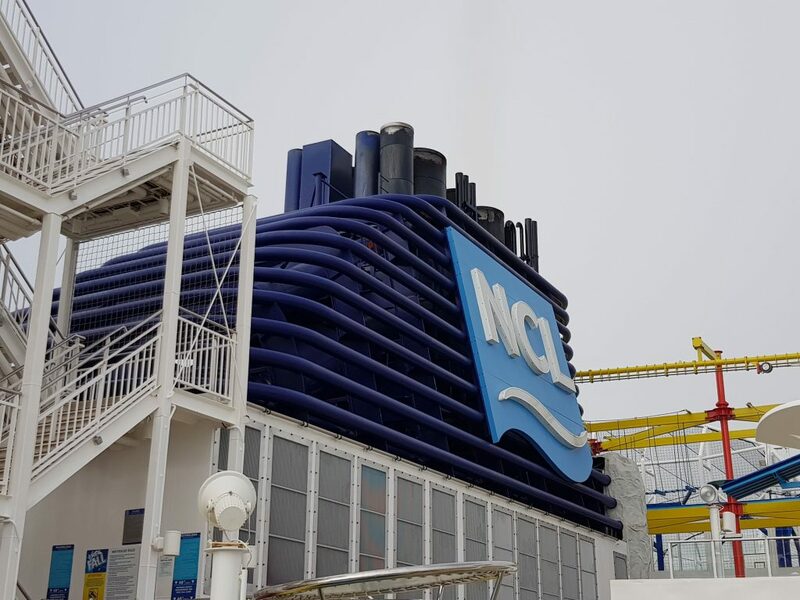 If you love the outdoors then make sure you try out Norwegian Breakaway’s impressive Sports Complex, featuring NCL’s largest at-sea ropes course made up of more than 40 different elements. 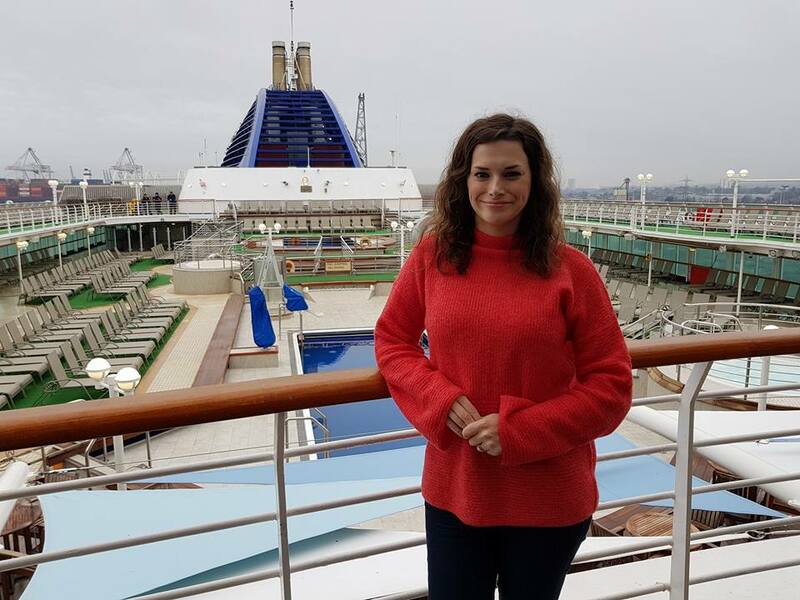 Other highlights include a nine-hole miniature golf course, a rock-climbing wall, a bungee trampoline and The Plank – a platform that extends eight feet over the side of the ship. I really liked the spa on Norwegian Breakaway. 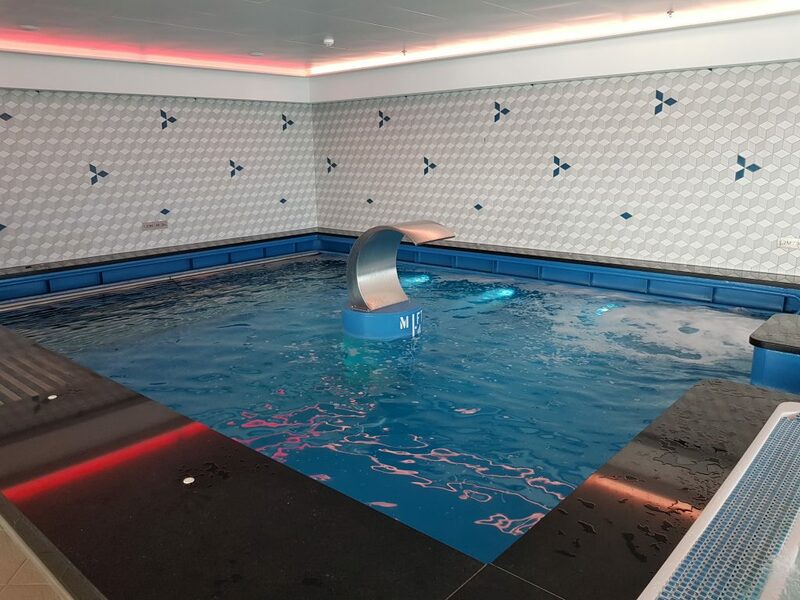 As well as a barbershop, fitness centre and treatment rooms, the ship had a superb outdoor thermal suite facility with a hydrotherapy pool and luxury sunbeds, which overlooked the sea. The entire spa and fitness area spans two decks and covers 23,000 square feet. 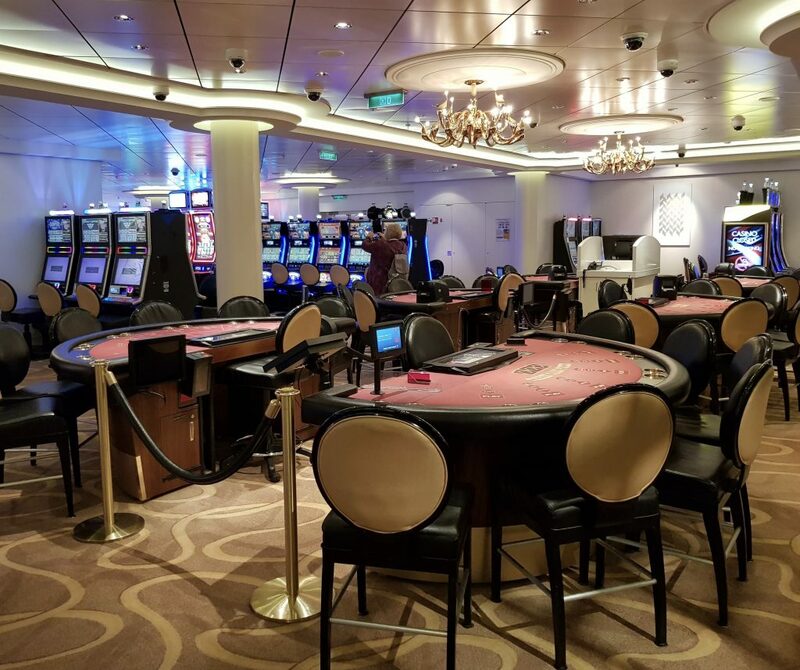 The casino space was vast on Norwegian Breakaway (18,000 square feet), but I’m told that this is a well-used area on certain itineraries. There are over 300 slot machines and 26 gaming tables. I enjoyed having a look around Norwegian Breakaway, although unsurprisingly she is very different to the SS. Norway. It took me a while to get to grips with the layout of the ship, although I’m sure it would be easy to find your way around with longer on board. The décor was tasteful, contemporary and finished to a high standard, but the bars and restaurants appeared to be very dark at times. 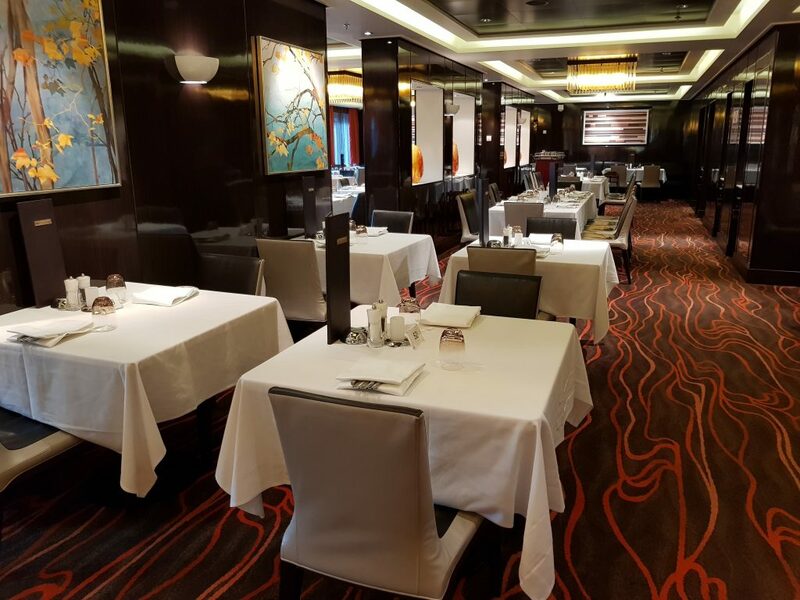 I was impressed with the choice of onboard speciality dining venues, and I would certainly be keen to try all of them if I was to sail on the ship. 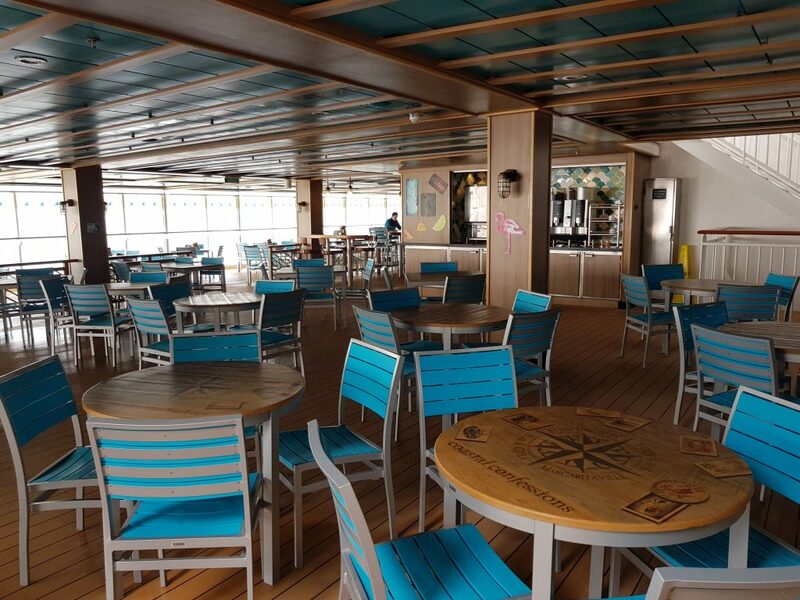 The indoor/outdoor dining and bar space is a great idea and is something I would like to see on more ships. 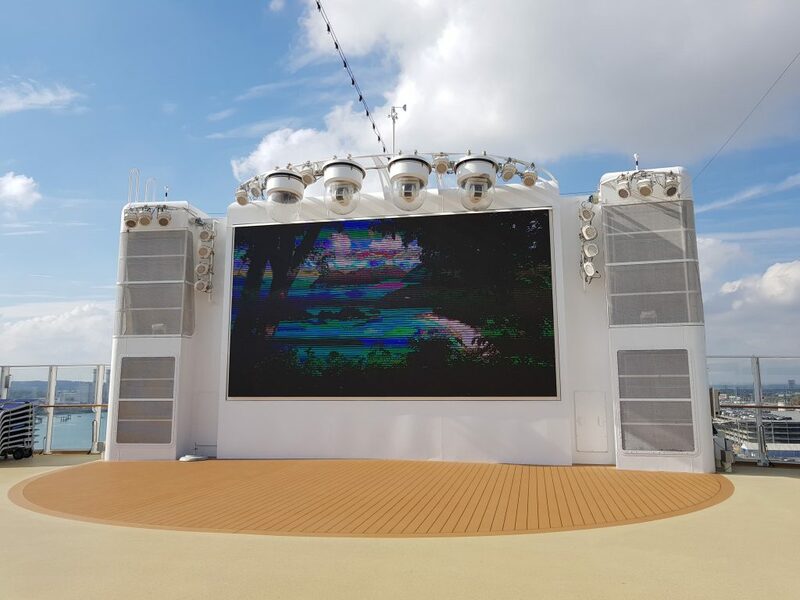 I could see that the lack of quiet pool areas might be an issue for some guests, but I am sure this depends on what time of year you decide to cruise (i.e. school holidays). 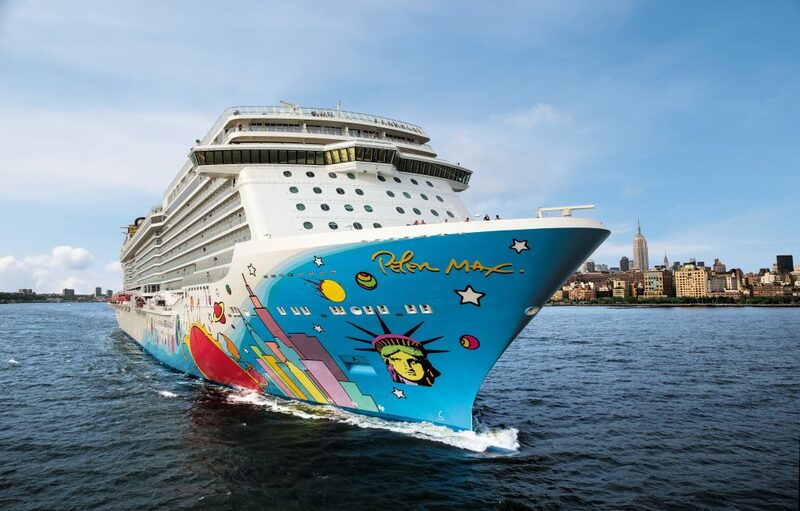 You can find out more about Norwegian Breakaway on Norwegian Cruise Line’s official website. Love the post. Agree with what you said about the atrium although I don’t really think the Breakaway has one big atrium. I’d class the bit by O’sheehans with the two-level screen as another atrium kinda? I grew up cruising with Norwegian so never really realised this was weird until I cruised with other lines. Thanks for your comment. It was great having a look around Breakaway and I know you are a big NCL fan. She had some really nice features. I see what you mean about the atrium sort of being split up. I’d love to see more of what NCL have to offer, so it’ll be great following the developments of their new ship. Great information. 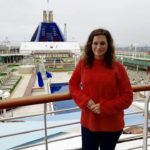 I’ve been on a couple of cruises but was a bit skeptical about the standard of Norwegian, this review is really helpful. I’m hopping over to Florida for an extended visit early next year (avoiding the British winter! Brr!) and I was planning to do a cruise. I might have to check out Norwegian now. The photographs are great. Really gives a good idea of how everything looks on board.